Includes Shopping at Two International Gem Shows! This very special Beadventure is designed to introduce you to the sheer grandeur and history of Russia's imperial capital. Because there is so much to experience in this “Venice of the North,” we decided to not include the customary bead class as part of the itinerary—instead, you will visit two international gem shows! 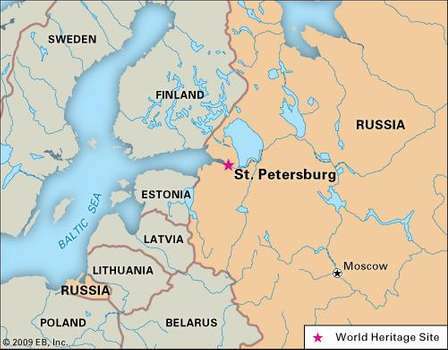 St. Petersburg was founded in 1703 by Peter the Great. It was intended from its inception as a display of imperial Russia’s growing status in the world. Fine-tuned by Peter’s successors, who employed a host of European architects to add fabulous palaces and cathedrals to the city’s layout, St Petersburg grew to be the Romanovs’ showcase capital and Russia’s first great, modern city. The capital may have moved back to Moscow following the revolution, but despite all that history has thrown at it, St Petersburg still feels every bit the imperial city with its historic heart largely frozen in time. Whether you’re cruising along the elegant canals, crossing one of the 342 bridges in the city, or just watching them being raised over the mighty Neva River at night to allow ships to pass through, you’re never far from water in St Petersburg. This has earned the city unsurprising comparisons to Venice, but the similarities don’t stop there: walking around the historic center will reveal canals lined by Italianate mansions and broken up by striking plazas adorned with baroque and neoclassical palaces. North of the city center there are also pristine beaches fringing the Gulf of Finland. 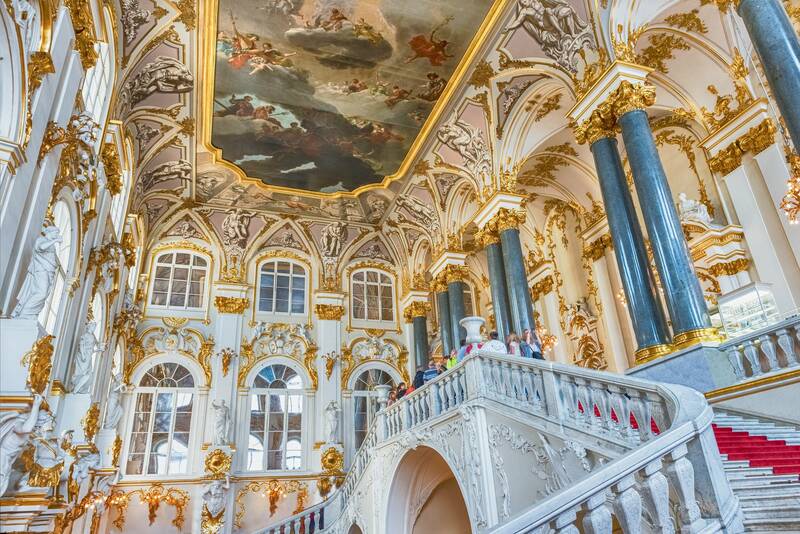 St Petersburg is an almost unrivalled treasure trove of art and culture. 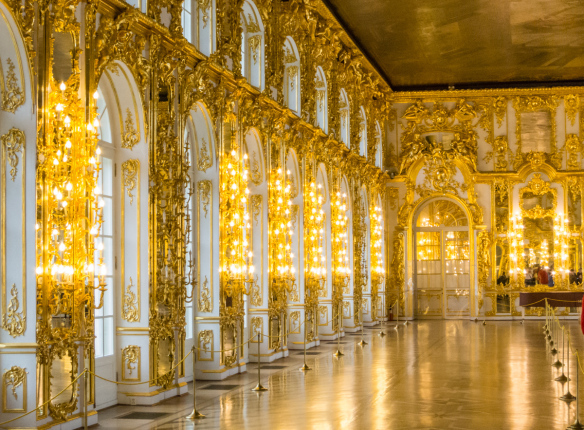 You can spend days in the Hermitage, seeing everything from Egyptian mummies to Picassos, while the Russian Museum, spread over four palaces, is perhaps the best collection of Russian art in the world. Add to this world-class ballet, opera, and classical concerts at the illustrious performance halls. Contemporary art is also available at the fantastic Erarta Museum, the Street Art Museum, and in its gallery scene. Day 1. Tuesday, September 10. Arrive in St. Petersburg. Today you will arrive at St. Petersburg, Russia's Pulkovo airport (airport code LED). We will be staying at the Petro Palace Hotel, which is a 15-minute walk from Palace Square and the Hermitage Museum. Arrangements can be made for a driver to meet you at the airport and transport you to the hotel (the cost of which is not included in the Beadventure). Because travelers will be arriving at different times throughout the day, no official activities are planned. This can be an opportunity to relax from the long flight and/or start to explore St. Petersburg. Day 2. Wednesday, September 11. Introduction to St. Petersburg & Hermitage Museum. After breakfast, we’ll orient ourselves to the city by taking a sightseeing city tour that will include a visit to the St. Peter and Paul Fortress and Cathedral – the Imperial burial place of the Romanov Dynasty. After lunch, we’ll visit the Hermitage Museum and the Diamond Room. The Hermitage is the second-largest art museum in the world. It was founded in 1764 when Empress Catherine the Great acquired an impressive collection of paintings from Germany. The collections occupy a large complex of six historic buildings along Palace Embankment, including the Winter Palace, a former residence of Russian emperors. With over 3 million works of art on display, the Hermitage is simply too large to see everything in one visit – and certainly not within the 2 or 3 hours that we will be there! Hopefully you’ll be able to carve out some time during our stay to return to see more. 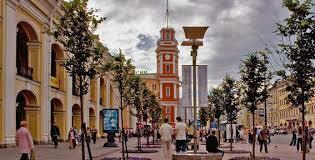 We will walk back to our hotel to freshen up before we leave for our “welcome dinner” at the Eliseyev Emporium. 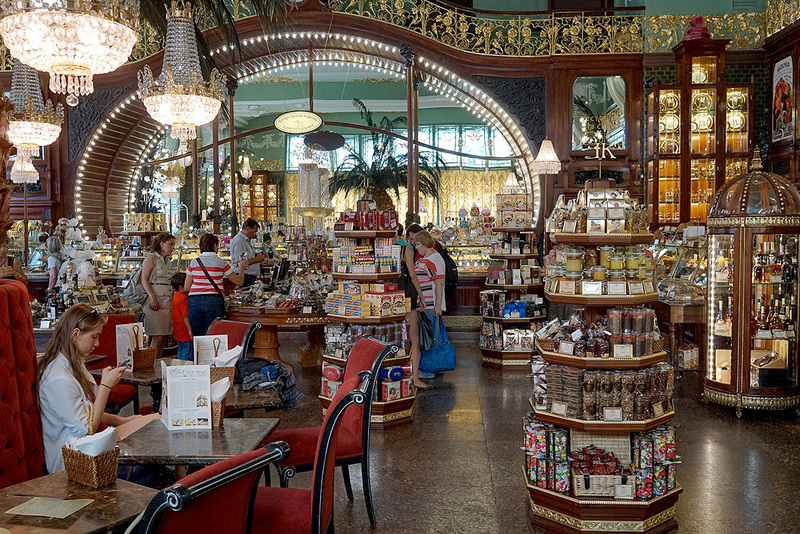 This food palace was first opened in the early 1900's before the Russian Revolution. Two wealthy merchants, the Eliseyev brothers, were the original owners and created the fanciest food hall in St. Petersburg at the time. We will dine in our own private dining room. Day 3. Thursday, September 12. Gem Show & Imperial Porcelain Factory. In the morning we will visit our first gem show—the Treasures of St. Petersburg, which takes place in one of the palaces along the Neva River. Following lunch, we plan to visit to the Imperial Porcelain Factory. 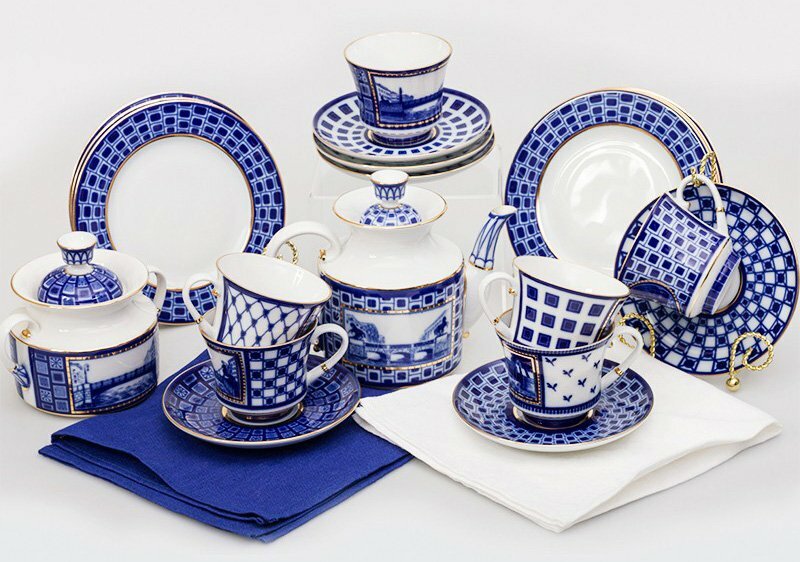 During Soviet time it was known as the Lomonosov Porcelain Factory, it produces hand-painted fine porcelain. It was established in 1744 and supported by the Russian tsars since Empress Elizabeth. During this tour, the guide will tell you about the history of the factory, visit several departments of art porcelain, and visit the factory floor itself, where we will see the best masters at work. At the end of the tour, we will visit the Gallery of Modern Porcelain and a factory shop where we will have a chance to buy unique Russian porcelain. Day 4. Friday, September 13. Tsarskoye Selo (Pushkin) & Catherine’s Palace. We will be transported by private bus for our one-hour ride to the town of Pushkin where we will visit Tsarkoye Selo – or the “Tsar’s Village,” which is a World Heritage Site. Currently, there are two imperial palaces: the baroque Catherine Palace with the adjacent Catherine Park and the neoclassical Alexander Palace with the adjacent Alexander Park. The Catherine Palace is surrounded by a Garden à la française and an English landscape garden, with such 18th-century structures as Dutch Admiralty, Creaking Pagoda, Chesma Column, Rumyantsev Obelisk, and Marble Bridge. Alexander Park has several Chinoiserie structures, notably the Chinese Village. 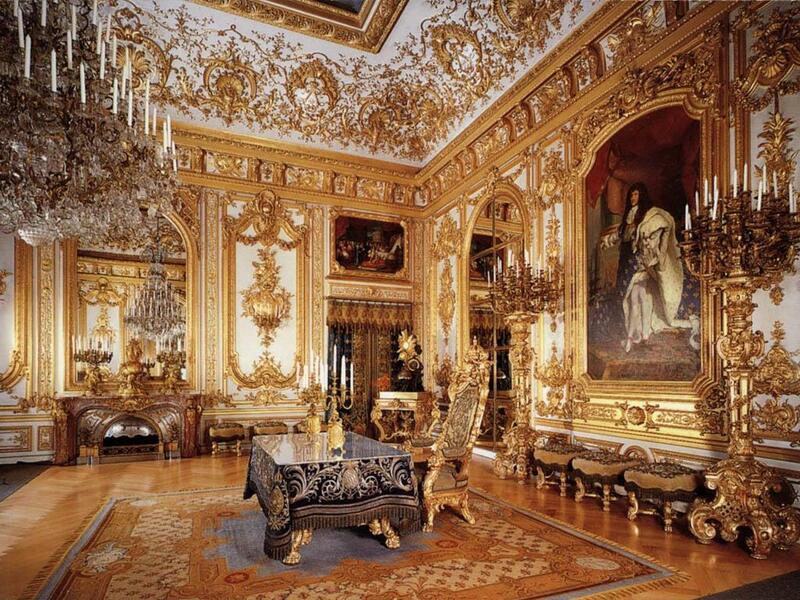 We will have a tour of the Catherine Palace as well as the Amber Room. We also are working on a special visit to the workshops where we will learn more about the reconstruction of the Amber Room and see master artisans at work. Following our tour of the Palace, we will have a late lunch at Podvorye, a restaurant near Pushkin that looks like an old-fashioned wooden dacha. We will enjoy traditional Russian food as well as live entertainment. We will return to our hotel in the late afternoon. Optional: Evening musical performance at one of the Palaces in the city center or a folklore show with dinner. Day 5. Saturday, September 14. Gem World Exhibition & Church of the Resurrection Blood. In the morning we will go to the second gem show—the Gem World Exhibition, two floors filled with a wide variety of jewelry and semi-precious stones from different parts of Russia. Following lunch we will visit the Church of the Resurrection, also known as the "Savior on the Spilled Blood.” The church was built in memory of Alexander II who was assassinated in 1881 when a bomb was thrown into his carriage by a young man who opposed the Tsar's reforms. The highlight of both the interior and exterior of the Cathedral is its mosaic collection based on the paintings of Vasnetsov, Nesterov, and Ryabushkin. With a total area of 23,130 square feet, it is one of the largest mosaic collections in Europe. Day 6. Sunday, September 15. Oranienbaum. 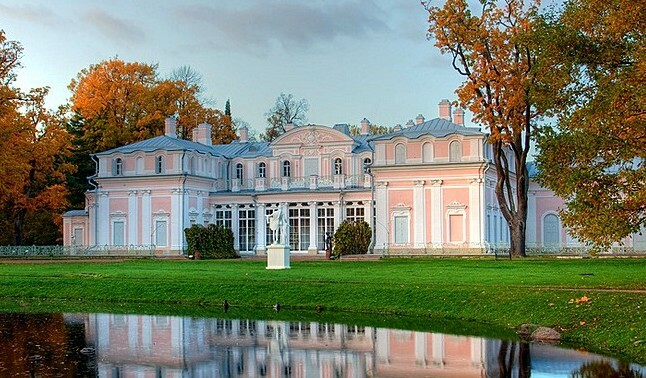 Today we will travel via our private coach for the one-hour ride to Oranienbaum, the location where Catherine the Great declared herself Tsarina after her husband was "eliminated." She had two special palaces, one of which is called the "Chinese Palace" that has a glass beaded salon. 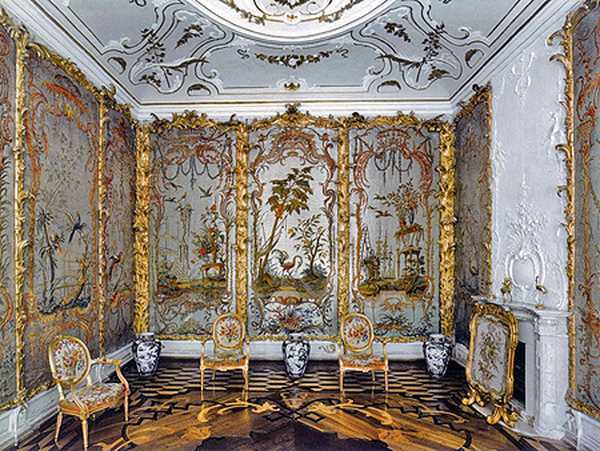 The salon is covered with 12 panels depicting fanciful scenes of birds, flowers, and exotic landscapes. These scenes, surrounded by pink scrolls, leaves, and other Rococo motifs, have been intricately embroidered and are set against a backdrop of shimmering white glass beads. Serafino Barozzi designed the panels, which were sewn by Russian seamstresses using locally made glass bugle beads. Day 7. Monday, Sept. 16. 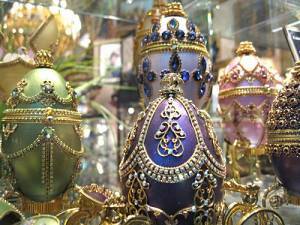 Fabergé Museum & Russian Gem Plant. We’ll start off the morning by traveling on our private transport to the Faberge Museum, which is located in the Shuvalov’s Palace on the embankment of the Fontanka River. The museum was opened in November 2013 after seven years of restoration. Today, the museum includes over 4,000 decorative and fine art pieces, many belonging to the royal family and other members of the royal courts of Europe. The collection is considered one of the best in the world. 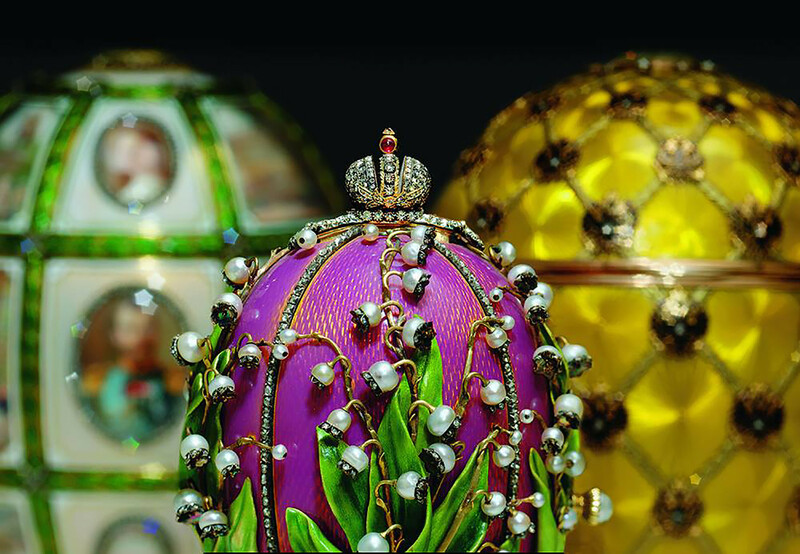 The most valuable items in the Museum's collection are the nine Imperial Easter Eggs created by Fabergé for the last two Russian emperors. Each of them is a masterpiece of jewelry and art as well as a unique historical monument to the reign and personal life of Alexander III and Nicholas II. Following our visit to the museum, we will visit the Russian Gem Plant and its shops with beautiful items that can be purchased. We will then stop and have lunch at a nearby restaurant. In the afternoon we will return to the hotel and the evening is free to enjoy on your own. An optional ballet or opera or other musical performance can be arranged. Day 8. Tuesday, September 17. 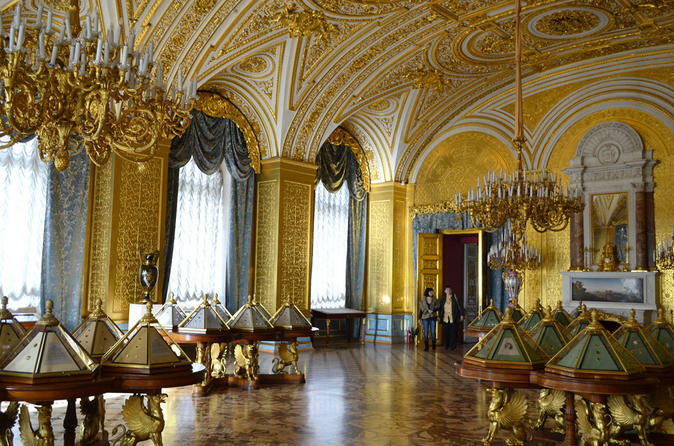 The Russian "Versailles"-- A Visit to Peterhof. 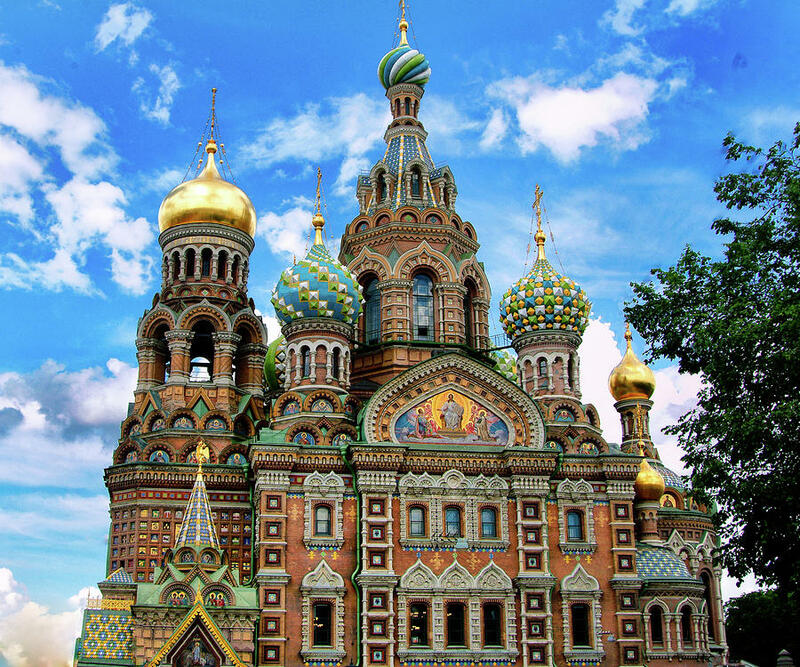 In the morning we will travel via private coach on the 45-minute drive to Peterhof, a UNESCO World Heritage Site, which is a series of palaces and gardens often referred to as the "Russian Versailles" overlooking the Gulf of Finland. 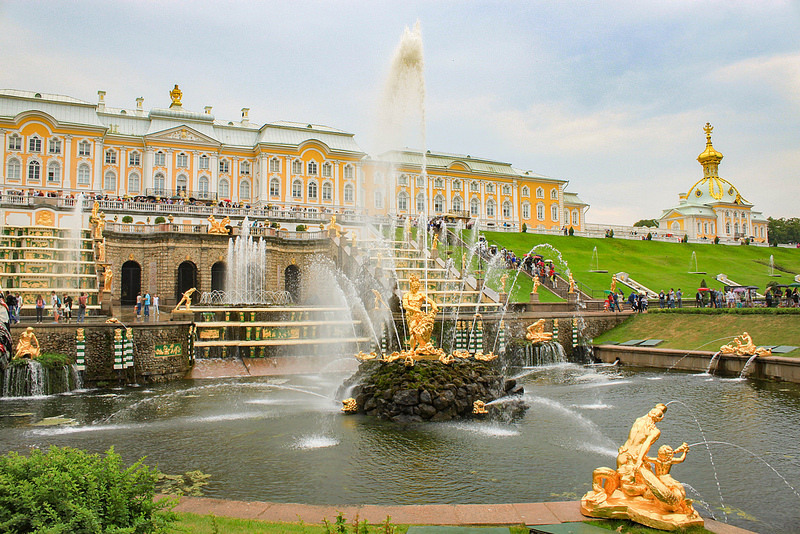 Our visit will include a tour of the Grand Palace, one of the small palaces like the Hermitage, and the Lower Park with its beautiful fountains. We will enjoy lunch at one of the restaurants in the park or nearby and will return to our hotel around 4 p.m. The rest of the day is free to enjoy on your own. An optional evening concert, folk show, ballet or other performance can be arranged. Day 9. Wednesday, September 18. Yussupov’s Palace, Cooking Class, Karl Faberge’s Apartment. We will meet our guide in the lobby of the hotel for a 15-minute walk for our tour of Yussupov’s Palace. One of two surviving St. Petersburg residences of the monumentally wealthy Yusupov family, the Yussupov’s Palace on the Moika River is perhaps most famous as the scene of the assassination of Grigory Rasputin in December 1916 and is one of the few aristocratic homes in the city to have retained many of its original interiors. For lunch, we will have a private cooking class in which we learn how to make the traditional Siberian pelmeni (a dumpling), that we then will have for lunch. Following lunch, we will visit the apartments of Karl Faberge, his safe-room, cabinet, and the jewelry shop on the first floor, which is located close to our hotel on Bolshaya Morskaya str. Day 10. Thursday, September 19. Free Day! Today will be free for you to explore on your own. Since we are within walking distance of the Hermitage, you may want to return and revisit some of the ex hibits you passed by quickly on our second day (we will help you obtain a ticket on-line, so you can avoid any lines!). Or this would be a perfect day to walk up and down Nevsky Prospekt and do some last-minute shopping. If it’s warm enough, you may want to do a boat ride on the canals. Or want to see some of the St. Petersburg metro? Some of the underground stations are works of art in and of themselves! Or visit St. Isaac’s Cathedral? We are right around the corner! Whatever you decide to do, please return to the hotel so we can have our farewell dinner together on a cruise along the Neva River. Day 11. Friday, September 20. Departure. Our enchanting visit to St. Petersburg comes to a close as we depart for home—or for further adventures! A note about the above itinerary: To bring you the best experience possible, we are continuing to fine tune each day's activities. As a result, there may be a few changes to the above. But be assured if there are, they will bring you the same quality of experience--or even better! Renee Tatusko has traveled to Russia for business and pleasure almost every year since 1988. Renee went on her first Beadventure to the Czech Republic in May 2017. During that trip, she realized a Beadventure to St. Petersburg might be of interest and floated the idea with the group with which she was travelling and got an enthusiastic response! The above itinerary is the result of her work with Natasha, who will be our Russian-based guide. Renee has been making jewelry since 2003 and taught beginning and advanced classes at "Accents on Beads" in Rockville, MD. She came to Anchorage, Alaska in September 2014 where she continues to take classes and is a member of the Alaska Bead Society. By day, Renee is a scientist at the National Oceanic and Atmospheric Administration. This is a photo of her installing weather sensors on St. Paul Island, which is located mid-way between Alaska and Russia in the middle of the Bering Sea. While Renee will not be the trip's official "Tour Guide," she will be a great resource to the group in answering questions. To guarantee your spot on this trip, send in a $1,000 deposit and completed registration form. Balance will be due 120 days prior to start of Beadventure (see Conditions & Responsibilities for more information). A U.S. citizens must possess a U.S. passport that is valid for six months beyond your last day in Russia. You also must have a visa issued by the Russian Government. To enter Russia for any purpose, a U.S. citizen also must posses a bona fide visa issued by a Russian Embassy or Consulate. It is impossible to obtain an entry visa upon arrival, so travelers must apply well in advance. The first step is a "visa support letter" that Beadventures will be getting from the Russian travel agency. As soon as it is in hand, we will get it to you along with information on applying for a visa. There is a great deal of walking on this trip, some of which will be on uneven surfaces streets and stairs. As a result, this trip is not for people who have difficulty walking or other mobility issues.